Kochi Sep 16 (IANS) Cricket icon Sachin Tendulkar has ended his association with Kerala Blasters Football Club (KBFC) the Indian Super League (ISL) outfit said in a statement on Sunday. "Sachin has been a great support and we thank him for his immense contribution to KBFC. He will forever be a member of the Yellow Army. As it has been we will continue to uphold and take forward the spirit of the sport spirit of the fans and the spirit of Kerala " the statement said. "The existing 80 per cent Ashareholders of KBFC comprising of IQuest Chiranjeevi and Allu Arvind have entered into a definitive agreement to acquire Sachin Tendulkar s 20 per cent stake in the club " it added. For the past two days a section of the media had speculated that hat UAE billionaire businessman and Keralite M.A. Yusuf Ali has bought Sachin s stake. 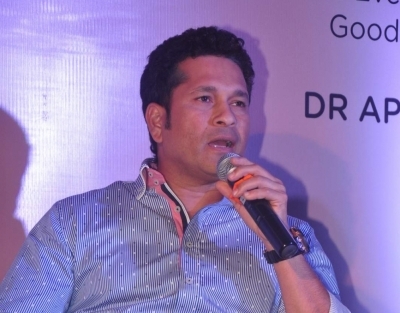 Sachin has been the face of the franchise since its first edition in 2014 and it was along with the then Chief Minister Oommen Chandy he held a press conference in the state secretariat announcing the name of the club.